Whether you choose to build a wine cellar or buy one, there are a few things to know about wine cellar management. A common mistake made by wine enthusiasts is underestimating the size of their collection. Keep in mind your average consumption and average purchase and identify the size of your collection so that you can secure the maximum amount of storage for all your wine. A little math might be involved, but it is worth it to properly store all your precious cargo. Once you have your collection, you will need to inventory your collection. 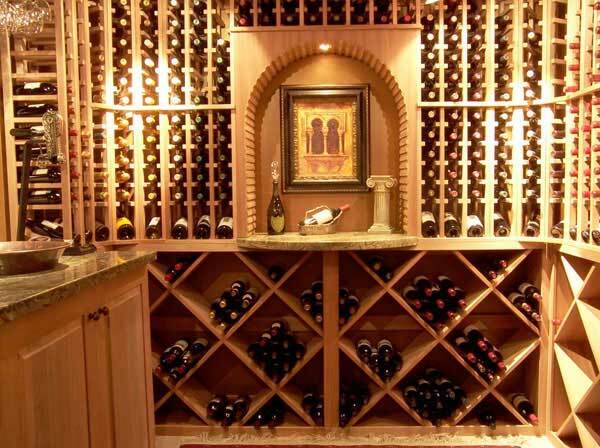 Having an inventory will help with proper wine cellar management and organization of your wine. Basically, you are keeping inventory of your wine whether it is for insurance records or consumption records or both. If you need help managing your wine, you can purchase a software package to help categorize and inventory your collection. HomeZada can help with inventorying wine and other items in your home. In addition to tracking and storing your wine, a wine cellar is useful for keeping wine at the correct temperature and humidity to avoid spoilage. Buying a simple wine refrigerator or unit will store collections of up to about 1000 bottles of wine. However, if you are a serious collector, building a wine cellar may be the best option for you. Your wine cellar will need to manage the appropriate temperature or cooling system for your wine. The wine cellar will need to manage the humidity of the area and it will need to stay sealed. Managing the appropriate temperature will also assist with the proper vapor barrier and avoid mold. Nothing is worse than building a beautiful wine collection and realizing that you do not have the proper storage. A wine cellar can help in managing the quality of your wine. Because once you are ready to drink it or auction it, you will want the most valuable solutions.